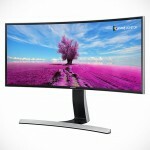 Samsung has a quite a bit to show at this year’s CES, which includes this particular monitor that caught our eyes. 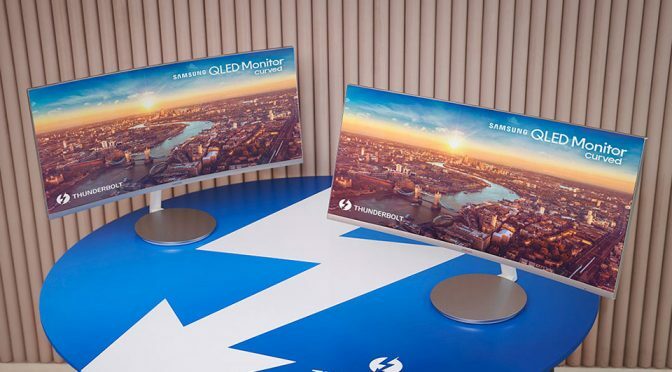 Designated CJ791, it is the first curved monitor to boast Intel’s Thunderbolt 3 connectivity. 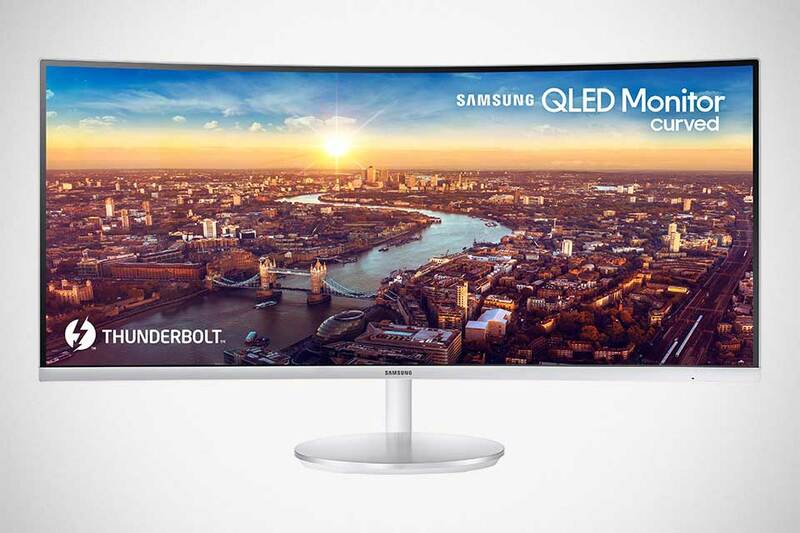 Its massive 34-inch display real estate is complemented by QHD resolution coming in at 3,440 x 1,440 pixels and boasts nearly 2.5 times pixel density over that of FHD displays. 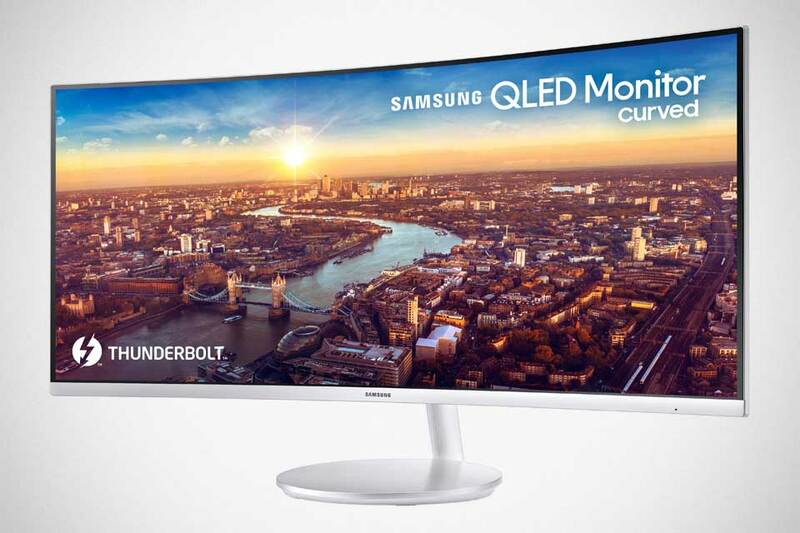 Owning to Samsung’s display technology, this beautiful display with super narrow bezel promised to deliver brilliant and realistic detail with precise color reflection across 125 percent sRGB spectrum, deeper blacks, brighter whites and pristine shades. It also touts the industry’s sharpest 1,500R curvature, along with ultra-wide 178-degree view angle and four milliseconds response time. Being a Thunderbolt 3 display, this monitor is a cable cutter. All it needs is one cable to charge/power the laptop (which it can provide up to 85W) and output the display. With Thunderbolt 3, you can expect up to 40 Gigabits per second (Gbps) of processing speed when connected to devices like Macs, USB Type C laptops, and other desktop accessories like storage drives or external graphics cards. 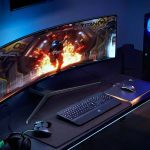 Finally, the CJ791 also touts a Game Mode, which boasts dynamic gamma setting that intuitively adjusts color and contrast of each individual scene to produce a “true-to-life environment.” No words on when the Samsung 34-inch Thunderbolt 3 QLED Curved Monitor will be available, or how much will it cost, but for those hitting up CES, you will be able to see in flesh at Samsung’s CES booth #15006, on Level 1 of The Central Hall at the LVCC.